We are holding an on-the-fly 8am class today. Join us if you can! CFJ version will be almost the same. We do not have 30# wall balls (yet) so the fellas will be doing 45 reps at 20#. Derek has joined our family from next door at Honey Skateboards. He is getting ready for The Adrenalina Skateboard Marathon (yep, 26.2 miles, pushing on a skateboard) in Plano, TX on October 16. Check it out. Angelo, Amy, Tyler, Amber, Matt, Ryan, Nick, Chad, Thom, John, Chuck, Erin, Theron, and Ali. If you are on this list and interested in being a team captain, pick your other three team members and get registered. We need to do this ASAP. There will be three categories of teams this year: Mens, Womens, and Co-ed. This is an open event. 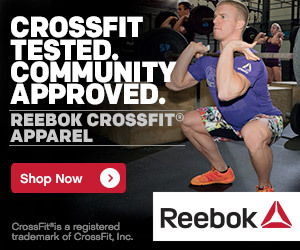 You need not be a CrossFitter to compete. We need 2 more interested peeps to make 4 teams. So let us know if you’re interested. It will be fun!! Entry fee is $30/per person and you must register all four members of the team at the same time. Substitutions can be made up until the week prior to race day as long as they do not change your category of entry. This event is put on by CrossFit Agoge and was a blast last year!! We have the 31Heroes tribute WOD in a couple days. This workout will be during/in-place-of our regular 9am Saturday class. We’d like to give the 3-2-1…. Go! promptly at 9:30am. Register here if you are interested in joining us as we honor these fallen men. You can certainly register, receive a t-shirt and come support the cause- you are not obligated to workout. Support comes in many ways. Next Monday (9/5) is Labor Day. We will hold a regular class schedule. However, all classes (even CFKids!) will be held on the football field at Stocker Stadium. If you are potentially interested or already 100% committed to competing next year in CrossFit (as an individual or on a team), please join us for an informal meeting on Wednesday, September 7 at 6:30pm. Really, if you are planning on competing in anything, be it mountain biking, running, MMA, whatever… join us and get a plan for success established. It may seem in the distant future but the work begins now. We will talk about goal setting, your mental game, recovery methods, and more. Lastly, you can see the September Challenge here. On a Mac, that is. HP users will have to go to crossfit.com, scroll down to Tuesday 110816 and click on the “P-bar Man Test” at CrossFit Santa Clara wmv video link. Can you tell them to send more lobbyists to Washington and demand that they’re allowed to drill for more oil……….I mean don’t do that the first day, but maybe after a week or so. whats up Adam? nice to hear from you.. I think you should take chads advise, only walk in the board room & demand a change!!! tell them your a badass “Crossfitter” hope all is well, keep up the good work & hope to see you again.